Below in this section we list upcoming trainings, seminars and conferences located in the southern US, as well as headline stories, reports, publications, and funding sources pertinent to Southern Conservation Partners' mission and interests. The following links will drop you down the page to view our categories of resources. NOAA National Sea Grant College Program and Coastal Zone Management Grants. Compared to Fiscal Year 2019 funding levels, the President's proposed budget includes an overall 31% decrease in funding for EPA, a 15% decrease for USDA, a 14% decrease for Department of Interior, an 11% decrease for Department of Energy, and a 31% decrease for the Corps of Engineers. The budget proposal also includes transferring $150 million appropriated to the Corps of Engineers to non-federal sponsors for project planning and construction. Environmental and conservation organizations urgently appeal for Congress to reject these Trump Administration's budget proposals. Read the President's proposed budget for FY 2020. Read WPN member NRDC's analysis of the implications for water safeguards. Taxpayers for Common Sense's ongoing analysis of the budget. Tell Congress to reject massive cuts to EPA & NOAA. The Environmental Protection Agency and the Corps of Engineers have announced an unprecedented proposal to gut clean water and wetlands protections. The public comment period has closed on the EPA and Corps of Engineers’ proposal to replace the 2015 Clean Water Rule and dramatically reduce the scope of waters protected by the Clean Water Act. This is the most significant weakening of Clean Water Act protections for streams and wetlands in history. A number of states attorney generals have filed opposition to the proposed weakening of national clean water and wetlands and stream damage regulations. If not blocked, the Trump Administration's Environmental Protection Agency proposed revised Clean Water Rule will adopt a standard that would leave our nation’s water resources vulnerable to pollution and destruction. This action will roll back federal protections for thousands of American waterways and wetlands. According to the National Wildlife Federation, the proposed rollback would strip protection for 60 percent of all stream miles in the continental U.S. and also strip protection for half of the wetlands in the U.S. The Rule change will imperil advances to protect water quality of many of America's rivers and estuaries, including the Chesapeake Bay and many others. This proposed rule would leave an estimated half of the nation's wetlands and about a fifth of our streams without Clean Water Act protections! The Clean Water Act, which is the federal law that protects water quality across the country, has been in place for 46 years. The Clean Water Act's Section 404(c) serves as a vital tool to stop the most damaging harm to the nation’s rivers, streams, and wetlands. Yet the protections guaranteed by the Clean Water Act are in jeopardy, as the Clean Water Act is under unprecedented assault. In addition to the proposed elimination of regulations, the Trump Administration has proposed a federal budget which, if Congress accepts, would slash the Environmental Protection Agency (EPA) previous budget by 30%. Although Congress in previous sessions has passed federal appropriations rejecting many of the President's proposed cuts, the risks remain that the President's Administration will continue to slash core programs of the EPA such as monitoring our streams and lakes, setting standards to protect them, and enforcing anti-pollution controls. The Trump Administration proposes to restrict the scope of the law and remove protections from millions of acres of wetlands and nearly two million miles of streams nationwide. Nowhere is the threat greater than in the South. Southern states not only a rich in water and water-dependent native species, but also have some of the weakest and most poorly funded water quality programs, making our region especially vulnerable to loss of federal clean water protection safeguards. President Trump by Executive Order directed EPA to begin dismantling the Clean Water Rule that protected small streams, up to 110 thousand acres of wetlands, and critical habitats for our nation’s wildlife. ​River Network offers strategies to protect water resources The national association of river protection organizations, offers strategies in response to the relentless series of attacks on safeguards for clean water and healthy communities from the Trump Administration and Congress. River Network’s member organizations have been at the forefront of raising awareness and speaking up for the value of regulatory safeguards to their rivers and communities, and for protecting federal policies and clean water protections now at risk. Learn more about the federal policies at risk and how you can use RiverNetwork's Federal Budget Toolkit to support efforts to protect federal investments in local rivers and waters. The strategies and success stories give us hope. Read the full article. Now is the time to deliver a message to your Congressional representatives that Americans care deeply about clean water and will not tolerate attacks to the Clean Water Act! Clean Water for All Coalition's Communications Toolkit, which includes impacts of the rule, social media guidance, and other resources to share. BIG LEGISLATIVE VICTORY FOR LAND AND WATER CONSERVATION! On Feb. 26th the U.S. Congressional House passed the Natural Resources Management Act by an extraordinary vote of 363-62, after the US Senate approved that legislation by a vote of 98-2 ! The legislation was accepted and signed by President Trump. Among many other achievements this legislation restores and provides permanent authorization of the Land and Water Conservation Fund. The legislation was accepted by the President's signature after many years of toiling to get the bill moved through Congress. Congressional inaction last year (due to a few recalcitrant Senators) caused the Land and Water Conservation Fund to expire last September. Senator Richard Burr (R- N.C.) was a leading force behind passage of this legislation. He declared after the Senate passed the legislative passage that the Land and Water Conservation Fund has been one of the most popular and effective federal programs ever created by Congress. "This victory was a long time in the making, and it is the result of the steadfast efforts of many who care deeply about America's natural treasures. Protecting this program is the right thing to do for our children, grandchildren, and countless generations so that they may come to enjoy the great American outdoors as we have." The Land and Water Conservation Fund (LWCF) has been an unparalleled force for land conservation since this federal program was signed into law in 1964. LWCF is widely regarded as the country’s single greatest tool for funding land conservation. The LWCF provides funding to federal, state and local governmental agencies to purchase, protect and operate parks and natural areas, water resources, forests and wildlife refuges, public recreation areas, and important cultural and historic sites. LWCF grants to states have contributed $20 billion in benefits to state and local economies. Every year, $900 Million in royalty payments by energy companies for their offshore oil and gas drilling are collected for the Fund. Every year Congress breaks its pledge to the American people and diverts much of the funding to uses other than conserving our most important land and water resources (now with an unallocated balance of more than $30 billion in the LWCF). A recent article highlights the history and value of LWCF, and offers perspectives on the current climate of uncertainty surrounding its future. Though the program has enjoyed largely bipartisan support over its more than 50 years—it has tangibly benefited all U.S. states and territories. Both the LWCF Coalition and The Trust for Public Land have compiled impressive success stories from the Fund's history and also provide information on how to weigh in with your elected officials. Current Information. DEFENDING OUR GROUND (and Environment)! Those of us who care about the environmental health and well-being of our country and region must act in defense as the Trump national administration is embarked on the most aggressive anti-environmental onslaught of our lifetime and is attempting to reverse 50 years of federal environmental protection programs, grants, policies and laws. Attempts are in motion that weaken public health–based standards for the waters we drink, the air we breathe, and the land that sustains us. Fortunately public outcry has encouraged the US Congress to decline the worst of the Trump proposed federal budget cuts would impose draconian cuts to the Environmental Protection Agency, US Fish and Wildlife Service, the Land and Water Conservation Fund, public lands acquisition and management, US Forest Service state and private forests assistance programs, the USDA Natural Resource Conservation Service's landowner conservation assistance and wetlands reserve programs, the Landscape Conservation Cooperatives, endangered species and ecological services programs, AmeriCorps, the National Heritage Areas program (described in our featured Partnerships), and most other environmental, public health, education and welfare, community enhancement programs. The President has proposed a 30% reduction in grants to the states that carry out federal Clean Water Act, Clean Air Act and Safe Drinking Water Act permitting and enforcement programs. Since federal grants provide 50% of the total funding for states' clean water and air programs, a 30% cut in those federal grants would create a big hole in budgets for state permitting and enforcement. And with President Trump's unilateral withdrawal of the US from the worldwide climate accord, widespread removals and transfers of career agency managers, and his appointments of anti-environment agency administrative heads, we have confirmation of little concern or understanding for the threats we all face from climate change and other environmental perils. We believe the Trump administration's actions to diminish environmental protection and energy policies are dangerously short-sighted and will cause long-lasting harm to communities and our natural heritage. The US President sets the Agenda of the national government; Congress holds the "purse strings" and authorizes the Budget. While President Trump's budget proposals amounts to a budget recommendation to Congress, he is aggressively reducing or demolishing government environmental and natural resource conservation programs by freezing Congressionally authorized funds, cancelling programs, or reassigning and eliminating personnel. Defenders of national natural resource conservation and environmental protection programs must be vigilant and register their concerns with their Congressional representatives and assure continuation of federal funding for important environmental protection and natural resource conservation programs. We join with other defenders of our environmental assets and advocates for healthy human and natural communities to be vigilant, strong, and effective champions of the South’s natural heritage and environment. In the words of Rick Middleton, founder and chief executive of Southern Environmental Law Center, "Don't be discouraged. Get mad, and be determined....fight for common sense and our common future." We will alert you to imminent dangers, and provide here in our website links to other partner organizations that are monitoring anti-environmental federal proposals and actions, and are leading in response strategies. This rapidly changing situation is challenging to track. We suggest you frequently visit the websites of other partner organizations for updates and action alerts – such as www.SouthernEnvironment.org/standingourground and www.lwcfcoalition.org . For background explanations see NPR news articles about the political and budget threats to US EPA: On the Media: "How The Environment Got Political"
Other national resources and opportunities for you to be engaged in defending environmental protection programs and laws include: the Center for Biological Diversity and National Wildlife Federation. CONGRESS EXTENDS AMERICAN FARM BILL LEGISLATION - resolution at last reached! Fully funds the Conservation programs over 10 years, no cuts in the aggregate. Collaborative Forest Landscape Restoration Program increases to $80 million a year. New wildfire mitigation program for non-federal lands at $20 million/year. New Timber Innovation, Community Wood Innovation, and Water Source Protection programs are adopted. No controversial provisions included like limiting funding for the Forest Legacy, stewardship contracting changes, Alaska roadless exemption, and provisions that would undercut foundational environmental laws like ESA, CWA, and NEPA. ​ President Trump accepted and signed the Farm Bill legislation (on the same December day when he effectively shut down funding for much of the federal government's operations -- including for personnel for all conservation and environmental programs ). The Farm Bill's land and forest conservation programs, taken in total, are the largest single federal source of funding for private land conservation. Programs funded by the Farm bill provide significant opportunities to protect high-priority farm and ranch lands, grasslands, wetlands and forests. The programs provide matching funds to private and public conservation partners, so federal investments go further to protect America’s productive land. Read more about the Farm Bill's conservation funding and policies. The Farm Bill had expired on Sept. 30th when members of a conference committee failed to reconcile the differences between the House and Senate passed versions of the bill. We remain concerned about erosion of safeguards for our nation's public lands and waters. While Americans are divided on many issues, we believe our mutual love for our nation's wildlands and natural places is a common cause that unites us. Protecting our public lands and natural heritage assets is not a "blue" or "red" issue. The vast majority of Americans support the conservation of America's environmental resources and natural heritage. It is not news that the current administration is unfriendly to landscape scale conservation. So, it comes as no surprise that a proposed U.S. Department of the Interior (DOI) rule-making has taken another step to discourage landscape conservation. This time by making it more difficult for the public to nominate historic properties, in particular cultural landscapes, to the National Register of Historic Places. The reasons for this change are not hard to discern. Recognition of the cultural value of landscapes is seen as an impediment to allies of the administration, especially those with interests in resource extraction and energy development projects. Read more about these proposed changes here. The IRS and U.S. Treasury Department are considering significantly reducing federal income tax deductions available to people who donate to charitable organizations and then receive state or local tax credits. This includes the donations of conservation easements and even land. These reductions would eliminate — or substantially shrink — an important incentive for donors and would slow the rate of land conservation. That is why the Land Trust Alliance submitted comments on behalf of the land conservation community on the proposed regulations. To learn more about this urgent issue, please read blog post. Sixteen states (NINE Southern states) — Alabama, Arkansas, Colorado, Connecticut, Delaware, Florida, Georgia, Iowa, Maryland, Massachusetts, Mississippi, New Mexico, New York, North Carolina, South Carolina and Virginia — provide state tax credits or enhanced deductions to encourage conservation donations. To receive updates on this issue and subscribe to the Conservation Defense enewsletter contact Leslie Ratley-Beach, Land Trust Alliance Conservation Defense Director Email her. The National Woodlands Owners Association reports the Trump Administration's proposed budget reductions in America's forest resources conservation and management is "as bad as anticipated" with draconian reduction proposed in funding for the National Forests system by $170 million, and severe limitation or even elimination of popular State and Private Forestry, Forest Legacy, Landscape Restoration, Community Forests and Open Space, Urban and Community Forestry, Landowner Education, and Cooperative Forestry programs. As our president likes to say, "SAD" ! The Trump Administration appears poised to make draconian changes to the federal Endangered Species Act that will significantly reduce protection for threatened species and give economic impact considerations higher priority than sole reliance on scientific data. The Center for Biodiversity ​reports that the Trump Administration and Republican-majority Congress are poised to gut the Endangered Species Act. Congress is now considering a bill to strip federal protections from all endangered animals and plants that live in only one state — which is most of the 1,665 species protected by the Endangered Species Act. It includes, for instance, the Florida panther, which has been on the endangered species list since the law was passed. That dangerous bill could put hundreds of imperiled animals and plants on a fast track to extinction, including 86 species in Florida. We await more information to pass on to you. Take Action! Find out what simple step you can take to make a difference. Read more. The National Parks System suffers an enormous $11.6 BILLION backlog of unfunded maintenance needs. One of the many grim examples is the $215 million of deferred park maintenance needs in the Great Smoky Mountains National Park alone, which is over ten times the total annual operating budget for that park. And meanwhile that park (with the greatest number of public visits of all the national parks in the nation) has suffered a 23 percent reduction in staff over the past ten years. Between 2011 through 2017 the whole National Park Service has been forced to reduce its staff by 11 percent, while public visitation to the parks has increased by nearly 20 percent. The Trump Administration would make things much worse, as it has proposed further dramatic budget cuts for our National Parks. Fortunately, Congress has so far rejected the Trump administration's budget proposal and has instead provided modest increases in NPS funding. Two current legislative proposals -- the National Parks Legacy Act, and the Restore Our Parks Act -- would provide a reliable, dedicated funding stream for our national parks. For more information, see www.npca.org/fixourparks . CONGRESS HAS RESISTED SOME OF THE WORST OF PRESIDENT TRUMP'S PROPOSED BUDGET REDUCTIONS FOR ENVIRONMENTAL PROTECTION AND NATURAL RESOURCES CONSERVATION, BUT THE TRUMP ADMINISTRATION'S THREATS TO THESE CRUCIAL PROGRAMS CONTINUE ! BE AWARE AND VIGILANT: even though Congress has rebuffed most of the Trump Administration's proposed budget cuts for environmental protection and natural resources conservation, the Administration does not have to spend the congressionally authorized budget and may continue administratively to maim these federal programs. TELL YOUR CONGRESSIONAL REPRESENTATIVES THAT THE ENVIRONMENTAL AND CONSERVATION PROGRAMS THE TRUMP ADMINISTRATION THREATENS TO WRECK OR ELIMINATE ARE WHAT MAKE AMERICA GREAT. MEANWHILE THE IMPACTS AND EFFECTS OF A CHANGED CLIMATE ARE WORSENING while our U.S. President and Congressional leadership are unresponsive . Obviously current events demonstrate hurricanes, floods, and wildly fluctuating weather events are intensifying, partially as a consequence of an altered world climate and unprecedentedly warm oceans and atmospheric temperatures . A new United Nations Intergovernmental Panel on Climate Change report warns the climate change crisis with compounding droughts and world food shortages is worse than previously understood: Read the full story. And read more . Let's hope for positive changes ahead and help make a difference! We post announcements about upcoming conferences of interest that are located in the Southern U.S. as information becomes available. We invite you to provide us information about conferences concerning protection and enhancement of environmental resources for announcement here. The mission of AEES is to promote the development of sustainable ecosystems that integrate human society with its natural environment for the benefit of both by fostering education and outreach, extending professional development and associations, raising public awareness, and encouraging original research. More than 200 ecological problem-solvers from academia, government, consulting, and non-profit groups from all over the world will gather to share technologies and ideas related to ecological engineering. More information. The National Land Conservation Conference organized by the Land Trust Alliance will be held in Raleigh, NC, this fall. Watch a short video from Rally host committee members about why you should attend Rally in Raleigh. Have an innovative idea on a timely subject that would appeal to fish and wildlife professionals from across the Southeastern U.S.? You are invited to submit a symposium proposal for the SEAFWA 2019 Conference. Submit your session proposal before April 9 midnight. Watch for more announcements about other 2019 conferences of regional interest. authors of the new Global Deal for Nature study lay out how the 30 percent protection could be reached in 67 percent of Earth’s 846 terrestrial ecoregions by 2030. Others would need some restoration. National Audubon Society (Audubon) announces comprehensive Gulf Restoration Plan. Audubon in February 2019 released an extensive report, Audubon's Vision: Restoring the Gulf of Mexico for Birds and People , which recommends an investment of more than $1.7 billion in restoration and conservation efforts. The report highlights projects and programs critical to help the region and its wildlife recover from devastating hurricanes, oil spills and other environmental and man-made disasters. New studies show benefits of green infrastructure. The Union of Concerned Scientists has released “Underwater: Rising Seas, Chronic Floods, and the Implications for U.S. Coastal Real Estate," a detailed analysis of future flood risk that seeks to put the true peril of coastal real estate into perspective. “Underwater” predicts that 300,000 residential and commercial properties will likely face chronic and disruptive flooding by 2045, threatening $135 billion in property damage and forcing 280,000 Americans to adapt or relocate. If you think U.S. cities struggle with high housing costs now, and the sprawl that often results from high housing costs, imagine decades in the future, when wave after wave of climate-displaced Americans arrive searching for work and an affordable place to live. In related news, the U.S. Global Change Research Program has produced the Fourth National Climate Assessment, which shows we are already feeling the effects of climate change. Intact, healthy landscapes play a significant role in mitigating climate change and can help reach the goals of the Paris Climate Accord (see the landmark PNAS Natural Climate Solutions paper (2017) and a Science Advances account of the recently-released Natural Climate Solutions for the United States (2018). This recognition continues to reverberate across the funding and policy arenas. For example, in September, 2018, the Doris Duke Charitable Foundation announced a new Natural Climate Solutions Initiative, a $20 million-dollar special fund designed to support work to bolster ecosystem ability to mitigate climate change. The fund will be focused primarily on the U.S., and seek to support new best practices, business models and markets, finance and policy approaches, and demonstration of projects that lead to accelerated carbon sequestration through landscapes across the country. Climate change is reshaping many aspects of the environment that many thought were static — from where deserts begin and end, to what we can grow in backyard or community gardens. Read the full story . Global warming is posing such wide-ranging risks to humanity, involving so many types of phenomena, that by the end of this century some parts of the world could face as many as six climate-related crises at the same time, researchers say. This chilling prospect is described in a paper recently published in Nature Climate Change, a respected academic journal, that shows the effects of climate change across a broad spectrum of problems, including heat waves, wildfires, sea level rise, hurricanes, flooding, drought and shortages of clean water. Climate change will alter the composition of our land (and water)-scapes and the natural communities and species that inhabit them.Climate change has significant consequences for land conservation. A recent paper published in the Denver Law Review (Vol. 95:3, 2018) examined nearly 300 conservation easements in six states and conducted over 70 interviews to try to understand how private land conservation is responding to climate change and what we can improve. Government agencies and nonprofit land trusts rely heavily on perpetual conservation easements. However, climate change and other dynamic landscape changes raise questions about the effectiveness and adaptability of permanent conservation instruments like conservation easements. The paper, “Climate Change Challenges for Land Conservation,” builds on a study of 269 conservation easements and interviews with 70 conservation-easement professionals in six different states (South Carolina is the only southern state examined). The academic researchers studied the adaptability of conservation easements to climate change and outlines four potential approaches to enhance conservation outcomes under climate change: (1) Shift land-acquisition priorities to account for potential climate-change impacts. (2) Consider conservation tools other than perpetual conservation easements. (3) Ensure that the terms of conservation easements permit the holder to adapt to climate change successfully. (4) Provide for more active stewardship of conservation lands. America's Land Uses: How does America use its land? Newly produced maps show a new way to look at the U.S. The 48 contiguous states alone are a 1.9 billion-acre jigsaw puzzle of cities, farms, forests and pastures. Read the full story. The American Farmland Trust's recent report, "Farms Under Threat: The State of America's Farmland", showed that the loss of farmland is serious and accelerating. Almost 31 million acres was lost to development between 1992 and 2012, nearly twice the area of farmland was lost than was previously shown. "That's 3 acres a minute, 175 acres an hour, of America's farmlands gone forever. We need farmland to feed us and sustain our economy-but also to help restore our planet," says John Piotti, AFT CEO. Learn more. Yet another study confirms the economic benefits of conserving environmentally and historically important lands. A study produced for the American Battlefield Trust and Shenandoah Valley Battlefield Foundation in 2018 documented that Virginia's heritage tourism industry provides over $1.3 billion in tax revenue and over 105,000 jobs annually in the Commonwealth. A dialogue around the rapidly growing practice of collaborative landscape conservation has been building, as communities and practitioners across the continent (and world) grapple with working across geopolitical, sectional, and cultural boundaries. The Network for Landscape Conservation has released its 2018 publication--Pathways Forward: Progress and Priorities in Landscape Conservation . That report captures the insights of 200 conservation leaders from the U.S., Canada, and Mexico who convened in November 2017 at the National Forum on Landscape Conservation to strategize on the rapidly growing practice of collaborative conservation at the landscape scale. The report assesses the state of the field, showcases many innovative examples, and recommends ways to further advance transformative conservation approaches. The report has a two-fold purpose: to capture the current state of landscape conservation practice; and to suggest what we can do together to successfully conserve our irreplaceable cultural and natural landscapes. ﻿The report explores recent innovations, on-the-ground examples, and action-oriented strategies that are advancing landscape conservation. Each of the five chapters closes with five-year benchmarks that serve as aspirational targets for the landscape conservation community. Pathways Forward is intended to be an inflection point in an ongoing conversation, hoping to inspire strategic dialogue and concerted action going forward: what can we do together and in our own landscapes to increase the pace and scale of enduring conservation while we still have the chance? READ THE REPORT. VIEW DISCUSSION WEBINAR. JOIN THE NETWORK . It should come as no surprise that conserving large landscapes in the current political climate is a difficult task. There are near constant threats to public lands, including the de-funding of programs aimed at the preservation of cultural and natural resources. In addition, a systemic targeting of landscape-scale work is taking place at multiple departments across the federal government. What is going on and how has this affected efforts to collaborate across jurisdictional, agency, and even national boundaries? Read about it. NFWF’s recently approved Longleaf Forests and Rivers Business Plan will help inform grant investments through the Longleaf Stewardship Fund and Southeast Aquatics Fund over the next 10 years. A PDF of the plan is on NFWF’s website. Report from the National Wildlife Federation (NWF) Details America’s Looming Wildlife Crisis, Highlights Ways to Help Species in Trouble. The report describes success stories where concerted, collaborative efforts have been able to make a difference for at-risk species of wildlife. The report's authors demonstrate that increased funding and robust State Wildlife Action Plans can save important species and their habitats. SECAS: model of collaborative conservation. 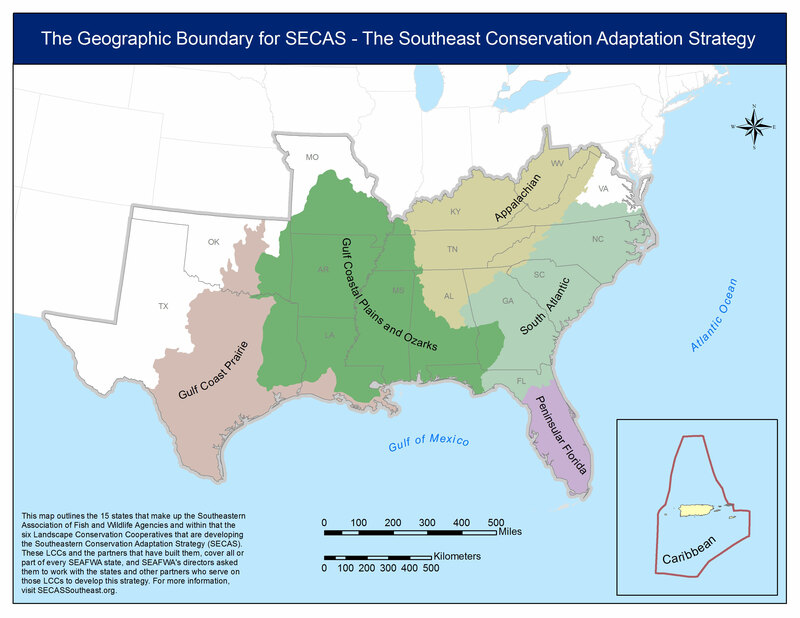 The Southeast Conservation Adaptation Strategy (SECAS) is a shared, long-term vision for the conservation future of the Southeast and Caribbean region of the United States. Through SECAS, diverse partners are working together to design and achieve a connected network of landscapes and seascapes that supports thriving fish and wildlife populations and improved quality of life for people. 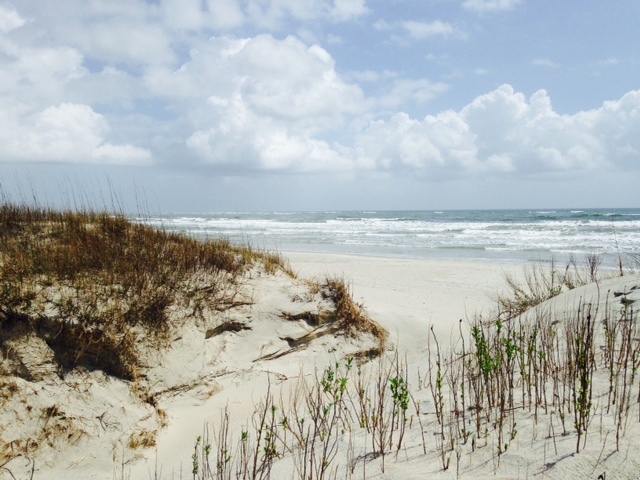 By stitching together smaller subregional plans into a Conservation Blueprint for the Southeast, SECAS helps coordinate the efforts of federal, state, non-profit, and private organizations to prioritize conservation action and investment. The goal of SECAS is to achieve a 10% or greater improvement in the health, function, and connectivity of Southeastern ecosystems by 2060. The Southeast Conservation Adaptation Strategy was featured at the 2018 North American Wildlife and Natural Resources Conference in Norfolk, VA. This national meeting of major conservation audiences was the ideal venue for highlighting the conservation vision for the future of natural resources in the Southeast. Subjects included implementation of the SECAS Blueprint, the intersection between collaborative conservation and sustaining military readiness, integrating urban areas into large-scale conservation planning, and extending large-scale collaborative conservation beyond the Southeast. For reflections by SECAS coordinator Mallory Martin: Visit his blog. Forests conservation and restoration key to reducing impacts of carbon emissions. Findings of a major study commissioned by the World Resources Institute, The Nature Conservancy and others document how conserving and restoring forests worldwide can dramatically curtail the negative effects of carbon emissions into the earth's atmosphere. READ MORE. The Nature Conservancy and collaborators from around the world in late 2017 published an article in the Proceedings of National Academy of Sciences that highlighted the critical value of 'natural climate solutions'—conservation, restoration, and improved land management actions that increase carbon storage and/or avoid greenhouse gas emissions across global forests, wetlands, grasslands, and agricultural lands. In particular, the study found that cost-effective natural climate solutions can mitigate for more than one-third of the emissions reductions needed to achieve the goals established in the Paris Climate Agreement—a full 30% more than previously estimated (read overview of the findings). Such nature-based and relatively low-cost solutions for climate mitigation are increasingly drawing attention. For instance, a recent article in PLOS ONE highlighted the cost-effectiveness of nature-based adaptation measures—including wetland and oyster reef restoration—in the Gulf of Mexico. Elsewhere, a Conservation Finance Network article highlighted on-the-ground collaborative efforts in New Jersey to strategically locate and fund nature-based restoration projects to reduce the risk of future coastal flooding. The Global Landscapes Forum’s third annual investment case symposium provided a platform for investors, business leaders, and policymakers to discuss ways in which private capital can drive increased investment in resilient and climate-friendly landscapes. Finally, an Anthropocene article highlights recent research (published in Nature) seeking to put a price tag on the cost of not effectively responding to climate change: the benefits of reaching climate mitigation goals are 40 times greater than the costs associated with doing so. In fact, the researchers estimate that reaching the Paris Climate Agreement goals could save the world more than $20 trillion—or $6 trillion in the United States alone. What is becoming clear is the critical importance of renewed attention to our landscapes—at and across scales—for cost-effectively mitigating the impacts of climate change. Human causes of Climate Change confirmed in new US Government Report: report finds human-caused warming ‘extremely likely’ . Healthy Watersheds Consortium Grant Program’s third-year of awards announced in late April 2018 expands the pace of proactive watershed protection in the U.S. through conservation and improved stewardship of thousands of acres of lands that provide drinking water, flood risk reduction, and an array of economic and environmental benefits. The 22 awards (four of them in the southern U.S.) total $4.168 million and will benefit organizations and partnerships in 20 states. The Heathy Watersheds Consortium Grant Program was conceived by the U.S. Environmental Protection Agency Office of Water (EPA) and launched in late 2015. EPA co-funds the program with the Natural Resources Conservation Service (NRCS) and the U. S. Endowment for Forestry and Communities (Endowment), which manages the partnership. For more information: Healthy Watersheds Consortium Grant Program. If you are trying to build a nest egg, you need to know two things: how to eliminate losses in your portfolio and the predicted rate of return on your investments. This is not unlike planning for the future of Southern forests. We need to know both how to slow down the rate at which forests are being lost from the landscape as well as where and how much protected forest acreage is likely to be added in coming decades. The latter issue has been the focus of the Gulf Coastal Plain and Ozarks Landscape Cooperative's project, “Mapping the South's Protected Forests of the Future.” In this project the GCPO LCC worked in close partnership with Mississippi State University (MSU) under a grant co-sponsored by the U.S. Endowment for Forestry and Communities and the U.S. Forest Service (USFS). The project focal area was expanded to include the entire Southeast region encompassed within the Southeast Conservation Adaptation Strategy (SECAS). Much information is now available on how economic and climatic trends will affect southern forests, most notably through the USFS Southern Forest Futures Project. This project ties together the efforts of the U.S. Forest Service to predict the extent of the South’s future forests and the Southeast Conservation Adaptation Strategy in identifying areas across the entire Southeast U.S. landscape that maximize ecosystem integrity. It is guided by a steering committee of representatives from state and federal agencies, forest products companies or trusts, and non-profit conservation organizations. Why track forest conservation? The Southern Forest Futures Report predicts up to 23 million acres of forest could be lost in the Southern U.S. by 2060. Loss will be driven primarily by four interacting factors: population growth, climate change, timber markets, and invasive species. “Our primary purpose in developing this future protected forest data layer is to help visualize what the Southeast landscape will look like if conservation groups are successful,” explained Peter Stangel, COO of the South Carolina-based US Endowment for Forests and Communities. “We can not only identify gaps in protection, but also must look at potential centers of sustainable forestry, priority habitat for at-risk species, important recreation areas, and many other key values.” As the goal of the Keeping Forests as Forests is to conserve 70% of historic forestland cover across the region, all data - including those underlying the LCC Conservation Blueprints - will be important. The SECAS Blueprint combined with other data resources will help inform decisions on where to focus conservation efforts and where points of leverage exist for identifying areas throughout the Southeast for forest conservation efforts. The Land Trust Alliance in December 2016 released its latest five-year national census from more than 740 responding private land conservation organizations, reporting that through the end of 2015, more than 56 million acres had been protected nationwide by private land trusts (by either land acquisitions or permanent conservation management easement agreements with landowners). The census documents an increase of 9 million acres protected nationwide (1.5 million in the southern states) in the 2010-15 period. The full report is now available on the LTA website and features interactive maps highlighting each state’s land conservation information. The Open Space Institute (OSI) and the Land Trust Alliance (LTA) in partnership have launched a major new Land Trust Climate Change Initiative (overview can be found on OSI’s website HERE). With global temperatures in 2016 crushing records for the third year in a row, the initiative represents a critical and timely program that puts land trusts and land conservation front and center in efforts to respond to climate change. The Land Trust Climate Change Initiative, launched with seed funding from the Doris Duke Charitable Foundation, seeks to equip land trusts with the information, tools and training they need to adapt to and mitigate climate change through their land conservation work. As part of the initiative, OSI will expand our efforts to translate and help land trusts incorporate relevant climate science into their conservation plans and acquisition priorities. The partnership with LTA builds upon and extends OSI’s growing work with land trusts on climate change. With funding from the Jane’s Trust and Doris Duke Charitable Foundations in New England and the Merck Family Fund and Z Smith Reynolds Foundation in the Southeast, OSI has to date supported efforts by 22 land trusts and coalitions of land trusts to incorporate climate science into conservation plans covering all or part of nine states. With support from Doris Duke and the Lyndhurst and Benwood Foundations, OSI has also supported the acquisition of almost 20,000 acres of climate resilient lands in the eastern US, including most recently on the Southern Cumberland Plateau in Tennessee (see the press release HERE). OSI in partnership with the Land Trust Alliance and the North Atlantic Landscape Conservation Cooperative, has released Conserving Nature in a Changing Climate, which synthesizes the latest climate-resilience science and shows how land trusts can apply it to their work. This guide highlights the critical role land trusts and land conservation can play in mitigating and adapting to climate change. The Guide walks users through the characteristics of a network of resilient sites, introduces data sets and tools that can be used to plan, and provides a detailed case study of how these data sets can be used to identify land protection priorities by land conservation organizations. The Guide is posted on LTA’s Climate Change website. Landscape Conservation Cooperatives offer many resources to expand and better coordinate conservation of ecosystems and natural and cultural resources. See more information about the LCCs in our website's Partnership section. Within the 275 million-acre region, 95% of 15 the Southeast states and Caribbean US territories is in private ownership. Biodiversity extends across all land ownership. These are just a few reasons that federal agencies from the Southeast Natural Resources Leadership Group (SENRLG) have come together with many of the state directors from the Southeastern Association of Fish and Wildlife Agencies (SEAFWA) to formulate the Southeast Conservation Adaptation Strategy (SECAS) . Learn more about the SECAS and its Conservation Blueprint plan which identifies lands with high conservation value. The Southern Atlantic Landscape Conservation Cooperative in 2018 conducted a series of workshops across five states with over 500 people representing 150 agencies and organizations, to produce a revised and improved Conservation Blueprint for the southern Atlantic states. To see more about the Blueprint revision and implementation strategy, as well as next steps for incorporating workshop feedback into the final release of Blueprint 2.2 >>visit blog. See the Southeastern U.S. Regional Conservation Adaptation Strategy Blueprint and Map at http://secassoutheast.org/blueprint . Report on threatened ecosystem services of forests in the Southern Appalachian region. The U.S. Forest Service and the Appalachian Landscape Conservation Cooperative released the first phase of the ongoing study assessing benefits of and risks to the region’s “ecosystem services” — natural assets valued by people, such as clean drinking water, outdoor recreation, forest products, and biological conservation. A wealth of data, maps, and other knowledge on ecosystem services and risks to their sustainability are now available.The website provides regional resources and tools for planners, managers, and the interested publics across the Appalachians. The Forest Service Eastern Forest Environmental Threat Assessment Center (www.forestthreats.org ) links the values that society places on these benefits from nature with threats to their current and future sustainability so as to inform future resource management decisions and enhance conservation. Southern Wetlands/ Bottomland Forests protection and restoration initiative. Recognizing and responding to the concentration of timber cutting and conversion in river bottomlands and other wetlands of the southern U.S., initiatives are being formulated to champion protection and restoration of these critical ecosystems, to increase public awareness, and to provide more assistance and education to private landowners and foresters. One element of the initiative is the publication of "Ecological Forestry Practices for Bottomland Hardwood Forests of the Southeastern U.S.," guidelines by the Forest Stewards Guild of professional foresters. Virginia Eastern Shore study documents $230 million in annual economic benefits of land conservation. Read the entire study. A 2017 study by the Center for Regional Analysis at George Mason University and Urban Analytics Inc. shows conserved lands on the Virginia's Eastern Shore were associated with more than $230 million in economic activity in the region last year. The study looked at three sources of economic activity — organizations involved in land conservation; the aquaculture industry; and tourism focused on outdoor recreation. The study's objective was to research how land conservation programs and practices on the Eastern Shore of Virginia affect the local economy. 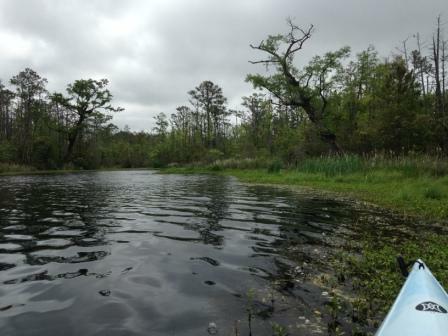 About one third of land on Virginia's Eastern Shore is conserved, with another 10 percent in conservation easements, according to the study. Organizations involved in land conservation on Virginia's Eastern Shore generated nearly $22 million in economic activity, $355,000 in local taxes, $329,000 in state taxes and 226 jobs in the region in 2016. Tourism spending associated with conserved land resulted in more than $51 million in economic activity, and about $2.2 million in tax revenue to the two Shore counties, along with another $1.4 million in state taxes. It was also associated with 655 jobs. While Accomack and Northampton counties forgo thousands of dollars in taxes each year due to conservation easements because the lands have a lower land use value tax assessment. The amount forgone in Accomack County last year was around $79,000; it was almost $284,000 in Northampton County, according to the study. However, the study found for every $1 spent in Accomack County to provide public services for land in conservation easement, an estimated $2.38 in revenues came to the county. In Northampton County, revenues to the county were estimated to be $1.15 for every $1 spent to provide public services to support land in conservation easement. The findings of the fiscal impact model indicate that lands with conservation easements do not place a fiscal burden on either county. Walk in the Woods Engages Public on Issues of Forest Stewardship. Just as any walk in the woods offers surprises around the bend in the path or over the next hill, learning how to become more flexible and interactive in how we talk about forests is a journey full of wonder. More than two years of discussions and research has yielded a first-of-its-kind pathway for the people who steward or enjoy North America’s forests to actively engage with their families, neighbors, friends, and others in talking about the importance of the continent’s forests and their many values. “Walk in the Woods" uses the power of social media for those who work in, make a living from, care about, or benefit from forests – that’s all of us – to share their own experiences and views about the bounty of forests and their myriad uses,” said Carlton Owen, President & CEO of the U.S. Endowment for Forestry and Communities (Endowment). The Endowment has partnered with over 110 organizations, including state and federal natural resources agencies, forest products producers, conservation organizations, and universities, to create the North American Forest Partnership (NAFP). The Partnership seeks to have all within the greater forest sector engaged by highlighting their experiences and knowledge about forests. In addition to the Walk in the Woods website, NAFP seeks seek to have participants share via various social media platforms. To read more, click here. American Forest Foundation (www.forestfoundation.org ) supplies helpful guidance to America's 22 million family forestland owners and their management advisers. AFF operates the FREE web-based resource for forestland owners who want to apply good forest, land, water and wildlife conservation practices on their properties, which is used by as many as 10,000 landowners monthly ; see www.MyLandPlan.org. AFF promotes Project Learning Tree and other youth environmental education programs. We encourage you to sign-up for AFF's FREE "Week in Trees" e/newsletter. We recommend the PBS documentary, "Americas First Forest: Carl Schenck and the Asheville [NC] Experiment." The 1-hour documentary film, produced for the Forest History Society (based in Durham, NC) tells how the German forester Carl Schenck was recruited to America in 1895 to manage forests at the Vanderbilt family's Biltmore Estate in Asheville, NC. Schenck not only helped restore the forests and land there, he established the country's first professional forestry school and contributed to the launch of America's conservation movement. The documentary examines the effects of harmful logging during the Industrial Revolution and establishment of Schenck's school of forestry in response. Another excellent source from the Forest History Society is the book, "American Forests: A History of Resiliency and Recovery," by Douglas W. MacCleery, which traces the history of American forests from before European settlement to today. This newly revised and updated edition (part of the Forest History Society's Issue Series) examines how Americans' uses of forests continue to affect woodland conditions. It can be purchased on the website, where it is available for free download (PDF) for non-commercial use only. A partnership of over 90 agencies and non-profits fosters collaborative action to conserve natural and cultural landscapes and safeguard a healthy environment and economy in the Chesapeake Bay Watershed. That coalition has developed a shared conservation priority system for the watershed. Go to www.LandScope.org/Chesapeake to find and map shared priorities for strategic conservation, to see and share conservation success stories, and track and report progress toward land protection goals. Climate change is real and happening. The Southern U.S. is experiencing the negative effects of global climate change and is hugely vulnerable to its consequences. Equally important to recognize is that climate change is intensifying other ecological and environmental problems: natural habitat loss and fragmentation, disease and invasive species, water quality and quantity, and more. Multiple collaborative responses for climate change mitigation, adaptation, and minimizing impacts are taking place. We recommend examining the many new resources and guidelines helpful in climate change adaptation, conservation planning, and devising community resiliency responses. For example resources are available through EcoAdapt. The Climate Adaptation Knowledge Exchange is an innovative community website for those working to manage natural and human environments in the face of climate change. The Land Trust Alliance furnishes another source of assistance at www.climatechange.lta.org. We highly recommend that you examine an impressive set of short video interviews with "regular" people who are witnessing profound effects of climate change on their personal ways of life, businesses, and on the natural resources, wildlife, and agricultural systems around them: www.ClimateStoriesNC.org produced by the University of North Carolina's Institute for the Environment. Such stories can be expanded and told regionally across the South. For a fascinating study on American public opinions about Climate Change see the Climate Opinion Map 2018. Drill down on public opinions presented by state and counties. NatureServe (www.natureserve.org )and the Ecosystem-Based Management Tools Network (www.ebmtools.org ) offer Tools for Coastal Climate Adaptation Planning: a new online guide to tools assisting with ecosystem-based climate planning which included detailed information and visualization modeling, instructive case studies, and a process for selecting tools appropriate for climate adaptation. A resource described in the national River Network's River Voices, is the Community Resilience Building Workshop process developed by Nature Conservancy scientists is an inclusive community-driven process, rich with information, experience, and dialogue, where participants identify top hazards, current challenges, strengths, and priority actions to equitably improve resilience to natural and climate-related hazards. After a decade in development, the CRB Workshop has been tried and tested and is trusted by over thirty-five communities. The CRB Workshop Guide provides clear instructions on how to lead communities towards resilience as well as the “before” and “after” steps to help ensure immediate goals, outcomes, and strategic direction are realized. It provides instructions on how to lead communities towards resilience as well as the “before” and “after” steps to help ensure immediate goals, outcomes, and strategic direction are realized. The Carolinas Integrated Sciences and Assessments (CISA) is one of ten National Oceanic and Atmospheric agency (NOAA)-funded Regional Integrated Sciences and Assessments (RISA) teams working nationally to integrate climate science into decision-making processes. We also recommend examining the resources offered by the South Central Climate Science Center, which is now in a significant planning effort to improve and increase what the U.S. Geological Survey calls “co-production of knowledge” about climate change and response to its effects. See our note above in New Resources about The Nature Conservancy's expanded conservation planning resources, found at www.ConservationGateway.org Check out The Nature Conservancy's dynamic migration map, which allows scientists and the public to see the continent-wide impact of climate change on animals and visualize corridors they will need to move. Coastal Blue Carbon refers to new market-based tools and initiative to help mitigate climate change and offset GHG emissions. Coastal wetlands science is developing methods and models to help land managers quantify greenhouse gas mitigation values and benefits through conservation and restoration of biogeochemical processes performed by coastal wetlands including salt marsh, mangroves, seagrasses, and other tidal wetlands. Coastal blue carbon is a newly recognized ecosystem service value of climate mitigation. Download an Introduction to Blue Carbon and a Blue Carbon Fact Sheet. Cultural Resources Climate Change Strategy. The National Park Service CRCCS Strategy, released in January, 2017, addresses climate change across the National Park System and is aimed at helping park managers and scientists plan and implement responses. The NPS is the lead cultural resource agency for the federal government. In addition to the National Park System, it holds responsibility for programs including the National Register of Historic Places, National Scenic and Historic Trails, National Heritage Areas, and the American Battlefield Protection Program. It also administers the Federal Historic Preservation Tax Incentives Program. For a link to the strategy, Visit Blog. The Coastal Plain region of North America’s Atlantic and Gulf Coasts is internationally recognized as one of the world’s biodiversity “hotspots.” The designation Global Biodiversity Hotspot is granted only to regions on Earth possessing at least 1500 endemic species and with greater than 70% loss of habitat. A total of 36 designated hotspots comprise only 2.3 of the Earth's land surface, but support more than half of the world's native plant species and nearly half of its native animal species. READ MORE . As one of the most biologically diverse places on Earth, the southeastern U.S. is also one of the most vulnerable areas for sea level rise and other consequences of current climate change. One might say the South is a world “hotspot” by measures of both biodiversity and rising temperature. How should natural resource conservationists respond? How do we enhance our conservation plans and strategies for the resilience and survival of the South’s ecological resources? READ MORE. A new global organization of practitioners and advocated for connectivity of conserved areas is being formed. The IUCN WCPA Connectivity Conservation Specialist Groups' purpose is to facilitate biodiversity conservation and the enhanced conservation, management and protection of protected areas and their values through the identification, retention and effective management of Areas of Connectivity Conservation (ACC). To accomplish these goals, the CCSG hopes to foster extensive membership and active participation of the international network of connectivity conservation participants to communicate the importance of, and spread essential information on effective management of connectivity connector areas. Building the CCSG into a global network requires the membership and support of diverse organizations and individuals. The Center for Large Landscape Conservation's Conservation Corridor collates recent research that looks at the effectiveness of urban habitat connectivity and provides new methods for planning and implementing connectivity corridors. See also this recent article explaining the importance of maintaining connectivity between habitats as a key strategy for conserving wildlife populations in face of changing climate. LandScope America is the best available comprehensive online source of information about locations of highest priority natural areas and biological/ecological "hotspots" across our region and the continent. The program is a collaborative effort by the National Geographic Society and NatureServe. Additionally this site provides a listing by state of private and public organizations actively involved with land conservation projects. Remember that most states have their own publicly-accessible data and maps showing both protected places and locations of places with high conservation importance. Check out the LandScope America website. The Nature Conservancy (TNC), in association with the Open Space Institute (OSI), offer a tremendously hopeful resource for conservation planning and strategies. See the website: www.ConservationGateway.org. Private land trusts protect land for a variety of reasons: recreation, biodiversity, viewsheds, water quality or community values. TNC and OSI recently expanded conservation planning tools and resources aimed in response to climate change consequences, and to protect more resilient and connected landscapes and waterways. New science on climate resilience has highlighted the critical role land trusts play in ensuring ecological resources and wildlife can adapt to a rapidly changing climate. Using this science, land trusts over the next few years will be protecting over 37,000 acres and have climate-inclusive plans across the eastern U.S.
A recording of the October 2016 OSI/TNC “Climate Resilience Data Update" webinar led by TNC chief scientist Mark Anderson” is available HERE. 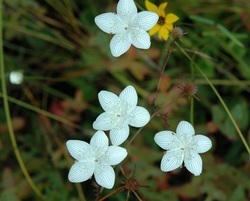 The Southern Cumberland Mountains Plateau of the Southern Appalachians is among the most biologically diverse landscapes of the southeastern United States are some of the most biodiverse in the country. It's pressurized layers of limestone, shale, coal and sandstone support habitat for species found nowhere else in the world — yet only 10 percent of the Plateau is protected. The Open Space Institute has partnered with other land conservation efforts In the Southern Cumberlands to protect nearly 40,000 acres since 2008. To honor the landscape, the Open Space Institute has created a multimedia ArcGIS Story Map (viewable here) that uses maps, narratives and video to illustrate conservation in the region, while showing the threats it faces. The Story Map focuses on the Fiery Gizzard area of Tennessee's South Cumberland State Park to demonstrate inspiring efforts save this natural area. We recommend this Land Trust Alliance guide for applying conservation biology to land conservation projects. The handbook, authored by Christopher Wilson, explains biodiversity and how to use and apply biological information in land protection project selection, fundraising, design of conservation easement agreements, compilation of site baseline documentation, management plans, and assuring that a land conservation project meets IRS Treasury regulations and Land Trust Standards and Practices. The E.O. Wilson Biodiversity Foundation is a nonprofit organization (based in Durham, NC) using education, technology, and business strategies to further the preservation of biodiversity. The organization has anchored its planning and efforts on the guiding vision of decades of Edward O. Wilson’s research, and eloquent speaking and writing. The foundation’s digital textbook, E.O. Wilson’s Life on Earth, is available for free download from iTunes. "E.O. Wilson - Of Ants and Men" premiered on PBS Primetime chronicling the life and ideas of E.O. Wilson (Harvard professor and Alabama native son), the guiding inspiration of the E.O. Wilson Biodiversity Foundation. This film includes stories from his childhood and scientific career, and culminates with his work in Gorongosa National Park. The film documents his lifelong love for the natural world and the journey he took to bridge the connections between nature and humans. Scientists, governments, and businesses are gaining a greater understanding of the economic benefits derived from protecting and enhancing natural ecosystems. Landowners have a significant opportunity to derive additional revenue by selling credits from the natural benefits that conservation easements create into the ecosystem service markets. A recent webinar provided an introduction to this emerging area from leaders already active in the markets and address the questions land trusts should be asking, including: What tools are available to land trusts for assessing the economic benefits of conservation, and how credible is the valuation methodology? How can conservationists use ecosystem services to influence decision-making and negotiations? What are the benefits of quantifying the value of natural assets beyond ecosystem service markets? Listen to the recorded webinar. The Farm Bill Field Guide to Fish and Wildlife Conservation is a tool intended to assist staff of federal and state fish and wildlife agencies, nongovernmental conservation organizations, joint ventures, and other conservation partners in implementing Farm Bill conservation programs established by the 2014 federal law. It is primarily designed for those who work collaboratively with private landowners and agricultural producers to improve soil health, water quality, as well as fish and wildlife habitat. Download the Guide. Forest Conservation book -- Forest Conservation in the Anthropocene - highlights effects of climate change on America's forest ecosystems and explores adaptation strategies from ecological, managerial, and policy perspectives. More information. The Wildlands Network, financially supported by the Sustainable Forestry Initiative (SFI), produced this report to educate commercial forest landowners in the southern U.S. to understand potential economic benefits of conservation easements as potentially "win-win" partnerships. The report includes selected case examples located in AR, FL, TN, VA.
Foresters and industry analysts use the information to make policy or investment decisions. For many years, FIA annual reports were printed; in the last few years, they’ve been made available online as PDFs. Now, FIA is excited to make annual reports available as story maps that provide important information about forests at the state level in an interactive format that’s attractive and accessible to a much wider audience. Story maps are web-based resources that – as the title suggests – lead a viewer through a narrative using an interface that can combine maps, text, videos, photos, and other media. Dynamic GIS-based map layers add multiple dimensions, allowing users to interactively find information for the locations they’re most interested in. The Forest Inventory Analysis Annual Reporting website currently includes the latest FIA annual reports for 10 states from across the conterminous U.S.; more will come online as they become available. Developed by a team of research foresters with the Forest Service Southern Research Station (SRS) FIA unit, the new annual report website is the latest in a series of story map products developed to tell stories grounded in forest inventory data and the science of Forest Service Research and Development. View the annual report story map site. Forest Loss in the Southern U.S. Global Forest Watch is an interactive, online resource that depicts the vast scale of transformation of the forests of the southern U.S. by logging, clearance, and development. Forest disturbance in the southern U.S. was FOUR TIMES greater than that of South America's forests in the years 2000-2012. Data gleaned from the Global Forest Watch document that the South has lost 18 percent of its overall forest cover in the 15 years since the beginning of the 21st century! Multiple efforts are underway to provide guidance and assistance to private owners of woodlands: some are national initiatives, like those directed by the American Forest Foundation; and others are locally focused, for example in the Chesapeake Bay Basin where the Alliance for the Chesapeake Bay uses the Woods in Your Backyard program as a tool for reaching out to owners of small acreage forested parcels and helping them to manage their woodlot and enhance natural areas. Visit the Alliance’s Forests for the Bay website. Land Uses across America Mapped. Eighty percent of the U.S. population lives in "urban" areas, over 250 million people. Yet urbanites live in just 3 percent of the country's 2.3 billion acres of land. Most of America's land cover are forests (30 percent), pasture and ranges (27 percent), and crops (18 percent), with water bodies, wetlands other undeveloped areas making up the rest. England-based designer Michael Pecirno produces images of America that illuminate all land use patterns, type by type. "Minimal Maps" uses 2014 USDA data to explore in rich detail how forests, grasslands, crops, and water spread across the contiguous states—each with its own map. See Minimal Maps . Longleaf Forest of the Southern U.S.: America's Most Threatened Forest Ecosystem. The loss of most of the 90 million acres of longleaf pine forests that once dominated the coastal plain and large parts of the Piedmont region of the southern U.S. is heartbreaking, but the story of collaboration to recover and restore that forest legacy is most encouraging. We recommend that you become acquainted with efforts of Longleaf Alliance and view a documentary film about longleaf pine. The future of the Southeast's longleaf pine forests, and the endangered species dependent on that ecosystem, may rest in the hands of the U.S. military. LEARN MORE. There are a number of ongoing efforts to thoroughly inventory remaining stands of longleaf pine forests and areas that offer superior opportunities for ecosystem restoration. Among them are the North Carolina Longleaf Pine Preservation Coalition decision support tool http://www.nclongleaf.org/maps.html (contains information about longleaf ecosystems locations and management in NC, SC, and VA) and the Florida Longleaf Pine Geodatabase, created by the Florida Forest Service and Florida Natural Areas Inventory, which house data for almost 2 million acres of existing longleaf pine in Florida. Click to view Florida’s Longleaf Web Map: www.fnai.org/longleafGDB.cfm . The Florida Natural Areas Inventory (FNAI) is building the longleaf ecosystems occurrence database in close conjunction with the America’s Longleaf Restoration Initiative including the Longleaf Partnership Council mapping committee, The Longleaf Alliance, and other partners. These approaches are being expanded to develop an inventory database for longleaf pine ecosystems regionwide. The National Academy of Sciences (NAS) in late 2015 released a report "An Evaluation of the Landscape Conservation Cooperatives", which concluded that a landscape approach is needed to meet the nation's conservation challenges and that the Landscape Conservation Cooperatives (LCCs) provide a framework for addressing that need. The NAS undertook the study pursuant to a Congressional directive to evaluate the LCC program. Read More. This collaborative, inter-agency attempt to maintain a single nationwide system for identifying, accessing and managing data on the locations of conservation easements across America has so far identified and mapped an estimated 2/3s of all the conservation easements. Nationally, the NCED identifies 114,216 conservation easements protecting 23,349,840 acres. The NCED was recently updated with more information from individual states.This resource is intended to provide reliable data for conservation inventory and planning. See this seriously large-scale application of conservation easements on private and public lands on the NCED Website. With just one click, Nature Serve enables you to discover which plants and animals are at-risk in your county or watershed. Knowing where at-risk species reside is an important starting point for understanding both national and regional conservation needs and priorities. It’s also fun to understand what lives in your own backyard. START DISCOVERING. The North American Bird Conservation Initiative (NABCI) report The State of North America’s Birds 2016 is the first comprehensive assessment of the conservation status of all bird species that occur in Canada, the continental U.S., and Mexico. More than one-third of North American birds are in trouble! NABCI was created by Canada, the U.S. and Mexico as a tri-national commitment to protect birds and their habitats. The report evaluates the conservation status of all native North American bird species across all major habitats —nine key ecosystems. It is based on the first-ever conservation vulnerability assessment for all 1,154 native bird species that occur in the continental U.S., Canada and Mexico, and reflects a collaboration between experts from all three countries. The overall conservation status of each species takes into account its population trend, population size, extent of breeding and nonbreeding ranges, and severity of threats to populations. The State of North America’s Birds Report was released during the Centennial year of the Migratory Bird Treaty, an agreement between the U.S. and Canada that promised collaborative conservation to protect the migratory birds of North America. This report reflects a groundbreaking collaboration to evaluate bird populations across the continent. It calls for a renewed commitment to continental bird conservation agreements to keep our shared birds safe and healthy for the next 100 years. For more information and to read the full report, visit www.stateofthebirds.org. Learn more about the Migratory Bird Treaty Centennial celebration at www.fws.gov/birds/MBTreaty100. The NC Wildlife Resources Commission and NC Natural Heritage Program have established impressive guidance and informational tools helpful to local communities, land use planners, developers, and conservation/environmental advocates wanting to implement conservation-design principles and nature-friendly, responsible land use planning and growth management. Check out these interconnected websites: Green Growth Toolbox, NC Conservation Planning Tool, NC Natural Heritage Program, and the NC Natural Heritage Data Explorer. We believe that all southern states replicate this approach for providing better frameworks and guidance for decisions about future growth and conservation of important natural resources. Old-Growth Forest Network (www.oldgrowthforest.net ) is a nonprofit organization dedicated to identifying and recognizing premiere examples of surviving old-growth forests and advocating for their protection and for recovering intact mature forests across the U.S. Go to its website to nominate old-growth forest sites for inclusion and certification. The Open Space Institute (OSI), with new scientific research undertaken by The Nature Conservancy, has identified climate-change resilient landscapes and sites within three selected areas in the southeastern states: the Southern Cumberland mountains in Tennessee; the Southern Blue Ridge mountains of North Carolina, South Carolina and Tennessee; and the Greater Pee Dee River basin in parts of North Carolina/South Carolina. At a time when climate change has created uncertainty about the role of land conservation, OSI is dedicated to working with partners to use the best science available to protect the places that will endure over the long term. To learn more about climate resilience science and OSI/TNC Resilient Landscape Initiative’s goals see the Program Overview. In addition to supporting land transactions that protect climate resilient lands, OSI assists land trusts in playing a pivotal role in protecting biodiversity as the climate changes. Over the past three years, OSI’s Resilient Landscapes Initiative Catalyst Program has made $150,000 in grants to assist land conservation organizations to protect lands that will remain resilient as the climate changes. In 2016, OSI broadened assistance to land trusts through two new partnerships with organizations that have experience in educating and supporting land trusts: the Land Trust Alliance (LTA) and Conservation Trust for North Carolina (CTNC). These partnerships will provide more intensive coaching and mentoring to a select group of land trusts, assisting them in mastering the knowledge and tools for developing climate-responsive conservation plans, implementing land protection on the ground, and building the network needed to sustain this work. Property Ownership national database. The website propertysearch.net connects you with government offices in every state and local government to obtain information for property titles and deeds, tax records, unclaimed property, and appraisals, and these records are available for free! It makes searching for titles and deeds super easy by simply typing in a specific county or state. It’s all very convenient and directs you to the right local government contacts to get these records for free. River Network at its 2016 annual national River Rally conference, released its 2016 Trends Report: "Our Water, Our Future." Included in this report is important information about the diversity of the river and watershed community in the United States. The report stresses the need for river and watershed protection efforts to reflect the interests and the diversity of the communities being served. If we are also interested in equity, we need to do more to bring people together to solve water problems and break down the barriers that divide and define us. Additional findings in the report focus on current conditions of our rivers, threats, and opportunities. The 2016 Trends Report is the first national report of its kind. Data for the report came from nearly 700 survey respondents from across the United States. Southeast Conservation Adaptation Strategy (www.SECASsoutheast.org ) [described above in more detail] was established in response to the dramatic changes affecting the environmental conditions of the southeastern U.S. and Caribbean -- including urbanization, extreme weather events, sea-level rise, climate change, competition for water resources -- which combine to pose unprecedented challenges for sustaining the natural and cultural resources of the region. Six Landscape Conservation Cooperatives across the Southeast joined forces with state agencies, the Southeast Aquatic Resources Partnership, and the U.S. Fish and Wildlife Service to create a website for the Southeast Conservation Adaptation Strategy (SECAS). The SECAS purpose is to bring together the conservation community (people and organizations) to design and achieve a connected network of landscapes and seascapes that supports thriving fish and wildlife populations and improved quality of life for people across the southeastern U.S. and Caribbean. The SECAS Blueprint stitches together the work of multiple Landscape Conservation Cooperatives (LCCs) into a map of shared conservation and restoration priorities across the Southeast and Caribbean. This Blueprint serves as a plan for making the SECAS vision a reality. is a collaborative effort to enhance forested watershed protection that benefits public water and local economies in the southeastern U.S. This project is jointly funded by the US Endowment for Forestry and Communities and by the US Forest Service. Goals include developing cooperative relationships among state and local agencies, forestry and conservation organizations, and other river and watershed protection associations to design pilot projects and funding to implement creative protection strategies in high priority watersheds. MORE. Check out beautiful and inspiring short films focused on Alabama's premiere natural environment and conservation efforts, offered by the Southern Exposure film fellowship (www.SouthernExposureFilms.org ) and financially sponsored by the Southern Environmental Law Center. We recommend the films "Sharing the Secrets of Caves" and an exclusive interview with Alabama native and Pulitzer-prize winning biologist, E.O. Wilson. The Natural Areas Association released a report on natural areas programs currently active in 35 states, which for over 50 years have been identifying, inventorying, and conserving key elements of the nation's natural heritage, and have been in the forefront of conserving America's critical habitats for native plants and animals, and the best and last remaining examples of rare ecosystems. Download the report. All states since 2001 have been required by Congressional legislation (as prerequisite for federal state and tribal wildlife program grants) to prepare comprehensive plans to guide conservation of nongame (non-hunted) species. These State Wildlife Action Plans (or SWAPs) must be updated every 10 years at minimum, and so most states have recently or are currently updating their comprehensive wildlife conservation plans and strategies. To meet federal funding requirements state wildlife management agencies must include in their SWAPs: a description of their planning process and database, how their existing SWAP has guided conservation in their state over the previous decade, distribution and identified priority habitats of species of greatest concern, problems adversely affecting species and their habitats, conservation strategies and actions focused on species of concern, and the procedures for coordination with allied partners in developing and implementing conservation projects. The new Tennessee SWAP has been identified as a model for incorporating climate change response and resilience strategies in its wildlife conservation plans. Island Press has released Charles Curtin's book, "The Science of Open Spaces: Theory and Practice for Conserving Large, Complex Systems." In it, he lays the foundation for a new kind of science that can deal with "wicked" problems and vast ecosystems, although his book does not focus on southern U.S. ecosystems. In conjunction with the release of this new resource for large landscape conservation, Island Press offers 20% off a series of related books when purchased on the Island Press website with the discount code: 4PNLL. · Trees absorb carbon dioxide and potentially harmful gasses, such as sulfur dioxide, carbon monoxide, from the air and release oxygen. · Trees help reduce surface water runoff from storms, thus decreasing soil erosion and the accumulation of sediments in streams. They increase ground water recharge and reduce the number of potentially harmful chemicals transported to our streams. · An acre of trees absorb enough carbon dioxide in a year to equal the amount produced when you drive a car 26,000 miles. The Environmental Law Institute has published a guidebook demonstrating how a watershed approach in wetlands and stream restoration will better contribute to goals of improved water quality, reduction of flooding, improved quality and quantity of natural habitat, and increased ecological services and benefits. A watershed approach offers a science-information mechanism for improving site selection for wetland and stream restoration and protection projects. Contact ELI to obtain a copy of the "Watershed Approach Handbook: Improving Outcomes and Increasing Benefits Associated with Wetland and Stream Restoration Projects." The Wildlands Network (www.twp.org ) has published a new report, "Identifying and Prioritizing Key Habitat Connectivity Areas for the South Atlantic Region." The report summarizes the results of a three-year investigation of terrestrial habitat connectivity in the region. Future urbanization [including the Piedmont megalopolis from Atlanta to Raleigh] and sea level rise appear to threaten habitat connectivity across the region. Download REPORT. Wildlife Habitat Council (www.wildlifehc.org ) promotes and certifies habitat conservation and management on corporate lands through partnerships and education. The Council is supported by some of America's major landholding corporations. Its 2016 annual conference will be in Baltimore, MD, on Nov. 2-3. Later in the year, the Council will debut a new certification program for wildlife habitat conservation practices on corporately owned and managed lands. It is now offering FREE webinars on the application process. Check out the WHC's Conservation Academy, with its many FREE educational webinars. INSURANCE OPTIONS for Nonprofits Private, nonprofit organizations involved in conserving and protecting land, water, wildlife, and other environmental resources and natural heritage assets need insurance coverage. A common misconception among nonprofit groups is that dues-paying membership in one of the national associations of conservation organizations is a prerequisite for eligibility in any of the alternative liability insurance plans. That is not true. A local land conservation or river protection organization does NOT have to be a dues-paying member of a national association of land trusts or river protection groups to qualify for liability insurance (or even to receive discounted premium rates). We recommend that you investigate optional sources of insurance coverage available for nonprofit organizations. Select the insurance company and policies that are best for you: Download this Fact Sheet. Conservation Training (“learn globally, conserve locally”) offers open and free learning from The Nature Conservancy and partners, sharing training on a wide variety of environmental resource conservation and action planning subjects and professional development skills, with over 25,000 users from around the world. "The care of the earth is our most ancient and most worthy and . . . most pleasing responsibility. To cherish what remains of it, and to foster its renewal, is our only legitimate hope." There is a great and unmet need to provide private landowners guidance and assistance to design natural resource conservation plans and implement good, productive, restorative practices on their conserved properties. We recommend the USDA Natural Resources and Conservation Service local office as the first place for a landowner to go for help in preparing and implementing a conservation plan to manage and restore natural resources on the landscape. To learn more and identify your local USDA Service Center visit www.nrcs.usda.gov . Establishing a Conservation Plan qualifies a landowner to receive financial and technical assistance to implement land, water, and wildlife conservation actions. Another dependable source of assistance is from professional staff at your local Soil and Water Conservation District. American Forest Foundation (“we grow stewardship every day”) supplies helpful guidance to America's 22 million family forestland owners and their management advisers. AFF operates the FREE web-based resource for forestland owners who want to apply good forest, land, water and wildlife conservation practices on their properties. The AFF website is used by as many as 10,000 landowners monthly ; see www.MyLandPlan.org. Resources First Foundation (“Connecting People to Conservation”), a nonprofit organization, operates the Private Landowner Network, a nationwide directory of more than 27,000 conservation resources, articles, and professionals, helping landowners to navigate the complex choices of good land stewardship and conservation. The online library provides access to a suite of online resources that encourage and help private landowners (who own more than 60 percent of America’s landscape) to participate in good land stewardship and implement conservation practices on their land. Instructions on how to add information and profiles of other sources of land management assistance to landowners HERE. We recommend an excellent conservation planning guide for landowners, which while produced for North Carolina owners of "working" farm and forestlands, is applicable for landowners in all other Southern states. 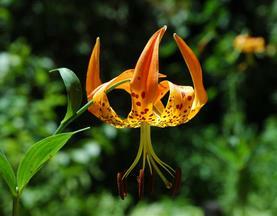 Conservation Alliance Offers Grants for Conservation and Recreation Projects. The Conservation Alliance is a group of outdoor businesses that supports efforts to protect specific wild places for their habitat and recreation values. Before applying for funding, an organization must first be nominated by one of our member companies. Click here for a list of members. Members nominate organizations by completing and submitting a nomination form. They accept grant requests up to $50,000. Please review the funding criteria before seeking a nomination. The Conservation Fund's Conservation Loan Program. Read reflections on TCF's history of creating "community wealth." Read blog post . Under the Environmental Education Grants Program, EPA awards grants to support environmental education projects that promote environmental awareness and stewardship and help provide people with the skills to take responsible actions to protect the environment. This grant program provides financial support for projects that design, demonstrate, and/or disseminate environmental education practices, methods, or techniques. Non-profit organizations are eligible to apply. MORE INFORMATION. The National Fish and Wildlife Foundation (NFWF) in partnership with International Paper have renewed and expanded its commitment to the Forestland Stewards grant program, increasing its overall contribution to $10 million. Forestland Stewards is one of the most effective public-private partnerships for forest conservation in the United States, and to date has funded 44 projects that have restored, enhanced or protected more than 190,000 acres of forest habitat. The new projects targeted for grant funded assistance will be in the low-country coastal region of South and North Carolina; the Cumberland Plateau of Kentucky, Tennessee, and northern Georgia and Alabama; and in the "piney woods" region of east Texas and Louisiana. Because of the effective conservation successes within these landscapes, International Paper and NFWF will expand the partnership into a fourth landscape, the Lower Mississippi Alluvial Valley, in a concentrated effort to restore and protect bottomland hardwood forests and associated wildlife, including migratory and wading birds, wintering waterfowl, and other terrestrial and aquatic species. As this program initiative enters its 6th year of grant-making, the partnership anticipates exceeding its goal to protect and restore more than 540,000 acres of critical forestlands. For more information consult the National Fish and Wildlife Foundation: www.nfwf.org. Gulf of Mexico Natural Resources Damage Restoration grants: Trustees of the Gulf of Mexico Natural Rsources Damage Restoration program are allocating $8.8 billion dollars to restore natural resources injured during the 2010 Deepwater Horizon oil spill. The Trustees have adopted a programmatic restoration plan to guide their decision-making. The five goals of the NRDA restoration plan are to: 1) restore and conserve habitat; 2) restore water quality; 3) replenish and protect living coastal and marine resources; 4) provide and enhance recreational opportunities; and 5) provide for monitoring, adaptive management, and administrative oversight. Restoration plans are being implemented through seven Trustee Implementation Groups (TIGs). For more information, visit the NRDA Trustees website. Gulf of Mexico Coastal Environmental Grants: NFWF Announces Fifth Round of Grants from the Gulf Environmental Benefit Fund. The National Fish and Wildlife Foundation (NFWF) late in 2017 awarded more than $101.5 million from its Gulf Environmental Benefit Fund (GEBF) to 19 projects and several amendments to previously funded projects in five Gulf coastal states. The projects, developed in consultation with state and federal resource agencies, are designed to remedy harm and reduce the risk of future harm to natural resources that were affected by the 2010 Deepwater Horizon oil spill. This round of projects includes seven land conservation projects. This announcement represents the fifth round of awards from the Deepwater Horizon damage payments received thus far by the GEBF. To date, the fund has received $1.65 billion. NFWF has awarded nearly $1 billion, or more than 50 percent of available funds. For more information about the selected projects, visit the GEBF webpage. Gulf-Region Agricultural Lands Conservation Initiative: US Department of Agriculture (USDA) Unveils $328 Million Restoration Strategy for Gulf-region Agricultural Lands. The USDA Natural Resources Conservation program has a strategy to improve water quality and help coastal ecosystems heal following the 2010 Deepwater Horizon oil spill. The strategy will guide how USDA will steer conservation efforts on private lands in priority areas of the Gulf of Mexico region. By allocating funds through existing Natural Resource Conservation Service programs, USDA moves efficiently to encourage and accomplish on-the-ground conservation action on forests, farms and other private landholdings. Read more about the program on the USDA website. The U.S. Endowment for Forestry and Communities, Inc. (Endowment) manages the Healthy Watersheds Consortium Grant Program. Grant funds available come through partnership with the US Environmental Protection Agency (EPA) and USDA Natural Resources Conservation Service (NRCS).Funding for Healthy Watershed Consortium grant program is expected to continue in the future. The program’s goal is to accelerate the strategic protection of healthy freshwater ecosystems and their watersheds across the country. The Healthy Watersheds Consortium (HWC) Grant Program is accepting 2019 grant proposals through February 4, 2019. • Supporting innovative or catalytic projects that may accelerate or broadly advance the field of practice for watershed protection efforts. More information. Healthy watersheds are those in which the hydrological, biological, and land-based functions of the ecosystem are largely intact. Protection refers to actions that conserve healthy aquatic ecosystems and the supporting natural and managed landscape and watershed processes, such as hydrology, that support them. Rather than waiting until a watershed is negatively impacted and attempting to restore it to health, the Healthy Watersheds Consortium Grant Program seeks to protect and sustain healthy watersheds so that they will continue to provide ecological services such as clean water, habitat for fish and wildlife, recreation, and protection from natural hazards. See the Endowment’s Healthy Watersheds Consortium Grant program website for more information about the grant program: http://www.usendowment.org/healthywatersheds.html. The Network for Landscape Conservation (NLC) announced in January 2019 the launch of a major five-year national grant program to accelerate the pace and practice of collaborative conservation at the landscape scale.Through generous support from the Doris Duke Charitable Foundation and the William and Flora Hewlett Foundation, the Landscape Conservation Catalyst Fund will distribute at least $1 million in funding to landscape conservation partnerships across the United States over the first three-year period, and offer supplemental training and mentoring to grantees. The Fund will be administered by the Network’s fiscal sponsor, the Center for Large Landscape Conservation. The Landscape Conservation Catalyst Fund will focus specifically on addressing the critical need for building capacity for landscape conservation partnerships by investing in the “backbone” coordination of the collaborative process and in supporting key stepping stone activities necessary to achieve broad-based partnership support and conservation on the ground. The program RFP will be announced and opened for grant applications on March 1, 2019. LEARN MORE HERE . The Network for Landscape Conservation is the community of practice for practitioners advancing collaborative, cross-boundary conservation as an essential approach to protect nature, culture, and community. Longleaf Pine Ecosystem Restoration grant program. The National Fish and Wildlife Foundation (NFWF) is soliciting proposals to expand and enhance longleaf pine ecosystem restoration and management across longleaf pine’s historical range, as well as the restoration and enhancement of bottomland hardwood forests within priority focal areas in the southern U.S. The Longleaf Stewardship Fund is a landmark public-private partnership supported with Federal funding from the USDA’s Forest Service and Natural Resources Conservation Service, Department of Defense, the US Fish and Wildlife Service, and private funding from International Paper’s Forestland Stewards Partnership, Southern Company, Altria Group, the American Forest Foundation’s Southern Woods for At-Risk Wildlife Partnership, and Louis Bacon’s Orton Foundation affiliated with The Moore Charitable Foundation. National Coastal Wetlands Conservation Grant Program Offers Funding Opportunity. The NCWCG program of the US Fish and Wildlife Service provides grants to acquire, restore, and enhance wetlands in coastal states through competitive matching grants to state agencies. The primary goal of the Program is the long-term conservation of coastal wetland ecosystems. Projects can include: 1) Acquisition of a real property interest (e.g., conservation easement or fee title) in coastal lands or waters (coastal wetlands ecosystems) from willing sellers or partners for long-term conservation; 2) Restoration, enhancement, or management of coastal wetlands ecosystems; or 3) A combination of acquisition, restoration, and management. All projects must ensure long-term (at least 20 years) conservation. Nonprofits must work with their state agencies to have projects considered. MORE INFORMATION. For more information, visit grants.gov and search for F17AS00108. NFWF is the nation's largest source of grant funds to public agencies and private organizations for protection and restoration of imperiled native species and natural habitats in North America. Since its creation by Congress in 1984, the Foundation has supported more than 14,000 conservation projects nationwide with combined funding of nearly $3 billion. NFWF supports more than 70 grant programs and works with over 15 federal agencies and 45 corporate and foundation partners in financing those grant programs. NFWF's WEBSITE provides instructions for online grant application. The North American Wetlands Act Standard Grants Program will accept applications through February 22, 2019. The Standard Grants Program is a competitive, matching grants program that supports public-private partnerships carrying out projects in Canada, the United States, and Mexico. These projects must involve long-term protection, restoration, and/or enhancement of wetlands and associated uplands habitats. NAWCA strongly recommends that you contact the coordinator of the joint venture region in which your project is located early in the process for guidance on developing your project and proposal. Joint venture coordinators' prioritization of NAWCA proposals from their geographic region is a key element in the selection process. Find out how to connect with your joint venture here. See the grant requirements here: United States Standard Grants. National Fish and Wildlife Foundation invites pre-proposals for the 2019 Resilient Communities Program. Pre-proposals are due by February 19, 2019. For more information, view the request for proposals. National Fish and Wildlife Foundation (NFWF) and Wells Fargo Bank Announce Resilient Communities Grant Program. Use wetlands, coastal habitats and other ecosystems to alleviate future floods, storm events and sea level-rise in Eastern states. Sustain water quantity and quality through enhanced natural infrastructure in the Central United States. Conserve healthy forests, managing wildfire fuels and restoring habitats for healthy forest ecosystems in Western states. Advance innovative and scalable resilience solutions benefiting multi-family affordable housing through green infrastructure. Support organizations that build capacity to help cities plan for enhanced resilience through green infrastructure or other improvements. For more information, read the entire NFWF announcement. National Forest Foundation solicits proposals for its Matching Awards Program (MAP). MAP is a nationally competitive grant program that provides federal funds for direct on-the-ground projects benefiting America’s National Forests and Grasslands. The program supports action-oriented projects that enhance outdoor experiences, forest and ecosystem health, and engage local communities in caring for their public lands. Nonprofits with 501(c)(3) status, universities and Native American tribes are eligible to apply. All projects must show a strong commitment to civic engagement and community involvement through direct public involvement. Grants are awarded for one year and require a 1:1 non-federal cash match. NRCS is investing up to $25 million for national Conservation Innovation Grant (CIG) projects that develop and demonstrate innovative approaches to natural resource conservation on private agricultural and forest lands. Through its Regional Conservation Partnership Program (RCPP), NRCS co-invests with partners in innovative, workable and cost-effective approaches to benefit farming, ranching and forest operations; local economies; and the communities and resources in a watershed or other geographic area. This funding sources provides grants to public-private partnerships that improve the nation's water quality, combat drought, enhance soil health, support wildlife habitat and protect agricultural viability. For more information, visit the program webpage. NRCS Agricultural Conservation Easement Program The USDA Natural Resources Conservation Service (NRCS) provides financial and technical assistance to eligible entities and private landowners who seek to conserve agricultural lands and grasslands and protect, restore and enhance critical wetlands. NRCS also funds purchases of conservation easements to protect habitat for diverse wildlife and plant species, including those that are endangered and threatened. Landowners and entities interested in using conservation easements to address natural resource concerns can submit applications at any time to a USDA-Natural Resources Conservation Service office. NRCS is currently accepting applications for the Agricultural Conservation Easement Program (ACEP). NRCS strives to help producers and landowners enact environmentally friendly activities such as improving water and air quality, building healthier soils, improving grazing and forest lands, enhancing organic operations and conserving energy. ACEP consists of two separate components, the Agricultural Land Easement (ALE) option and the Wetland Reserve Easement (WRE) option. The ALE component is geared to protect agricultural lands devoted to food production from conversion into non-agricultural uses. The WRE component aims to restore, enhance and protect wetlands through purchase of a wetland reserve easement. Applications for all NRCS financial-assistance programs are accepted on a continuous sign-up process, however specific sign-up deadlines are established to rank, contract and fund qualified tracts of land. For more information, visit the USDA WEBSITE. Through its Regional Conservation Partnership Program (RCPP), the USDA NRCS co-invests with partners in innovative, workable and cost-effective approaches to benefit farming, ranching and forest operations; local economies; and the communities and resources in a watershed or other geographic area. The Regional Conservation Partnership Program was created by the 2014 Farm Bill. USDA NRCS announced that its Regional Conservation Partnership Program has pooled together $220 million investment from USDA and $500 million from local partners to improve water quality, soil health, and natural habitats in 84 conservation projects. This funding sources provides grants to public-private partnerships that improve the nation's water quality, combat drought, enhance soil health, support wildlife habitat and protect agricultural viability. For more information, visit the program webpage. The US Department of Agriculture committed to invest $1.2 billion in RCPP partnerships over the life of the 2014-18 Farm Bill. Since 2009, USDA has invested more than $29 billion to help producers make conservation improvements, working with as many as 500,000 farmers, ranchers and landowners to protect over 400 million acres nationwide, boosting soil and air quality, cleaning and conserving water and enhancing wildlife habitat. For an interactive look at USDA's work in conservation and forestry visit http://medium.com/usda-results. North America Wetlands Conservation Act (NAWCA) Small Grants Program. The NAWCA Small Grants Program is a competitive, matching grants program that supports public-private partnerships carrying out projects in the United States that further the goals of the North American Wetlands Conservation Act. These projects must involve long-term protection, restoration, and/or enhancement of wetlands and associated uplands habitats for the benefit of all wetlands-associated migratory birds. Proposers are encouraged to contact the Joint Venture Coordinator in your project area for assistance with developing a project proposal, for information about how proposals are ranked, and/or for guidance on Endangered Species Act, National Environmental Policy Act, and National Historic Preservation Act compliance requirements. Find out how to connect with your joint venture here. Find out more about the NAWCA Standard Grants Program here. And visit the NAWCA webpage. The Coastal Ecosystem Resiliency Grants Program of the National Oceanic and Atmospheric Administration funds projects that develop healthy and sustainable coastal ecosystems through habitat restoration and conservation. The primary focus of this grants program is to develop healthy and sustainable coastal ecosystems through on-the-ground habitat restoration actions. Applicants can now submit proposals. Strengthening Coastal Communities includes activities that improve capacity of multiple coastal jurisdictions (states, counties, municipalities, territories, and tribes) to prepare and plan for, absorb impacts of, recover from, and/or adapt to extreme weather events and climate-related hazards. Habitat Restoration includes activities that restore habitat to strengthen the resilience of coastal ecosystems and decrease the vulnerability of coastal communities to extreme weather events and climate-related hazards. Eligible applicants include nonprofit organizations, institutions of higher education, regional organizations, private entities, and local, state, and tribal governments. Typical award amounts will range from $250,000 to $1 million for projects lasting up to three years. Cost-sharing through cash or in-kind contributions is expected. Projects must be located in one or more of the 35 U.S. coastal states or territories. Visit the NOAA website for more information. 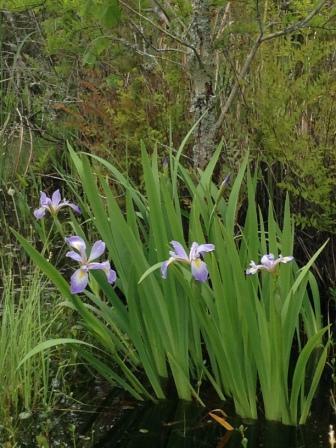 Open Space Institute (OSI) provides grants in the southeastern U.S. through its two complementary land conservation grant funds: Southern Cumberland Land Protection Fund and Southeast Resilient Landscapes Fund. OSI currently is inviting applications to those two companion funds, and will accept proposals to each fund through November 6, 2017.OSI’s Southeast Resilient Landscapes Fund and Southern Cumberland Land Protection Fund provide capital grants to safeguard places that will help wildlife mitigate the effects of a changing climate.. OSI’s grants are particularly focused on safeguarding lands that are most likely to harbor a diversity of plants and animals despite an increasingly unpredictable and changing climate. Eligible projects will permanently protect large unfragmented habitat in one of OSI’s three southeast focus areas, which are in Georgia, Alabama, Tennessee, South Carolina, and North Carolina. For details on the application process for each fund, please visit OSI’s website For questions about the funds, please contact Joel Houser, OSI’s Southeast Field Coordinator (jhouser@osiny.org, 423-364-5980). Collectively, partnerships between the US Endowment for Forestry & Communities and a number of federal government agencies will provide up to $260 million to improve the Nation’s water quality, combat drought, enhance soil health, support wildlife habitat, protect agricultural viability, and in many cases ensure national security. The U.S. Endowment for Forestry and Communities, Inc. (Endowment) has a partnership agreement with the USDA Natural Resources Conservation Service (NRCS) through the Regional Conservation Partnership Program (RCPP). The partnership has provided more than $7.5 million to landowners in Mississippi, Georgia, and North Carolina for conservation easements and habitat restoration projects. Projects focus on working forest lands, including longleaf pine, and will enhance restoration of threatened and endangered Species. Funding is also provided for projects that help preclude the potential listing of other species. The Endowment in partnership with the U.S. Department of Defense also manages the Readiness and Environmental Protection Integration (REPI) Challenge Grant Program. For more information see the Endowment's website webpage. The Request for PreProposals and the downloadable pre-proposal form are available on the U.S. Endowment for Forestry and Community’s webpage or by contacting Peter@usendowment.org. The REPI Challenge seeks to leverage public and private funds for land conservation projects that limit incompatible development or that relieve current or anticipated environmental restrictions on military testing, training, or operations. The Department of Defense Readiness and Environmental Protection Integration Program matches funds for selected projects that will protect the military mission by helping remove or avoid land-use conflicts near military installations and addressing restrictions that inhibit military activities. This RCPP partnership supports the goals of the Sentinel Landscapes Partnership (www.sentinellandscapes.org). As described on the website, the Sentinel Landscapes Partnership enables the U.S. Departments of Defense, Agriculture and the Interior, to achieve their established priorities with at greater cost-sharing, on a wider-scale, and with broader stakeholder buy-in. By aligning programs with state and local governments and non-governmental organizations, private landowners receive better coordinated delivery of Federal programs that provide assistance. Sentinel Landscapes are working or natural lands important to the Nation’s defense mission – places where protecting the working and rural character of key landscapes strengthens the economies of farms, ranches, and forests; conserves habitat and natural resources; and protects vital test and training missions conducted on those military installations that anchor such landscapes. See also the description (above) of the Healthy Watersheds grant program, also managed by the Endowment. USDA’s Wetland Reserve Enhancement Partnership . The U.S. Department of Agriculture (USDA) has offered $15 million of grants annually to help eligible conservation partners leverage local investments to provide technical assistance and financial resources for wetlands protection and improvements on private and Tribal agricultural land nationwide. The Wetland Reserve Enhancement Partnership (WREP) is one way state and local governments, non-governmental organizations and Tribal governments collaborate with USDA’s Natural Resources Conservation Service (NRCS) to increase the number of voluntary conservation projects for targeted, high priority wetland protection, restoration and enhancement. Wetland reserve easements allow landowners to enhance and protect habitat for wildlife on their lands, reduce impacts from flooding, recharge groundwater and provide outdoor recreational and educational opportunities. More information is available on the NRCS Agricultural Conservation Easement Program webpage. The Wildlife Conservation Society's Climate Adaptation Fund supports projects that implement effective interventions for wildlife adaptation to climate change. Grants of $50,000 to $250,000 are provided to nonprofit conservation organizations for applied, on-the-ground projects focused on implementing priority conservation actions for climate adaptation at a landscape scale. In 2018, the Fund is inviting applications for projects that implement joint mitigation and adaptation approaches, in addition to the continuing priority to support wildlife adaptation projects in both urban and rural landscapes. The Fund prioritizes projects that manage dynamic ecological processes, landscape functionality, and species assemblages, rather than those aimed at maintaining historic conditions or individual species. Grants are provided to U.S.-based nonprofit conservation organizations for projects within the 50 states and six U.S. territories. Visit the Wildlife Conservation Society’s website to download the Request for Proposals. Working Lands for Wildlife is a new partnership between NRCS and the U.S. Fish and Wildlife Service to use agency technical expertise combined with $33 million in financial assistance from the Wildlife Habitat Incentive Program to combat the decline of seven specific wildlife species whose decline can be reversed and will benefit other species with similar habitat needs. The Working Lands for Wildlife project will target species whose decline can be reversed and will benefit other species with similar habitat needs. For more information, visit the WEBSITE.